After 77 years the family of Jack Cremean has closure and he is finally at rest. 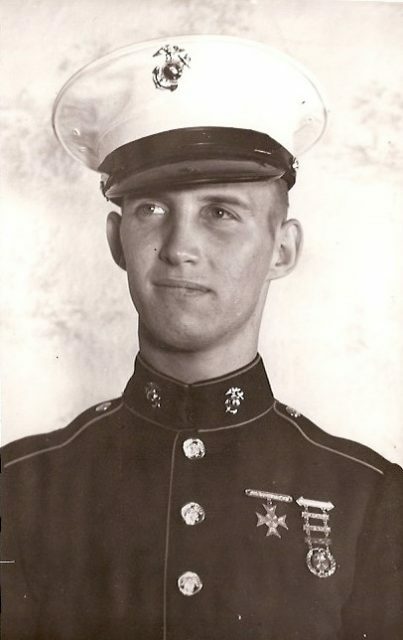 US Marine Jack Cremean was killed in the attack on Pearl Harbor on December 7, 1941. 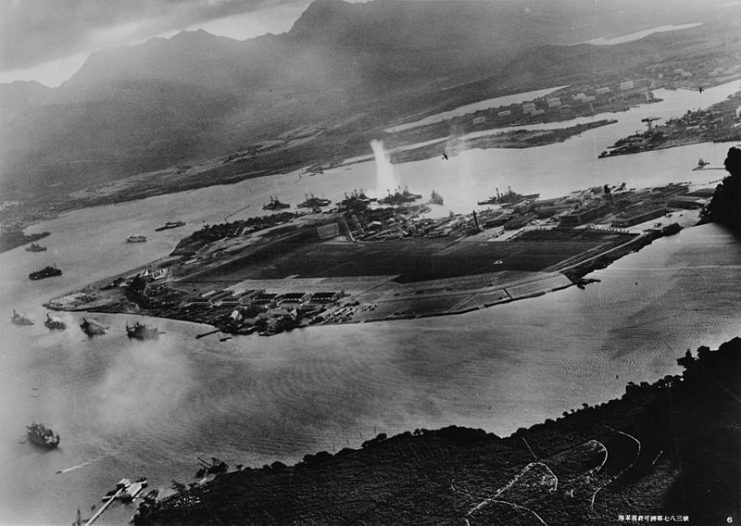 He was providing security on the USS Oklahoma when the attack began. 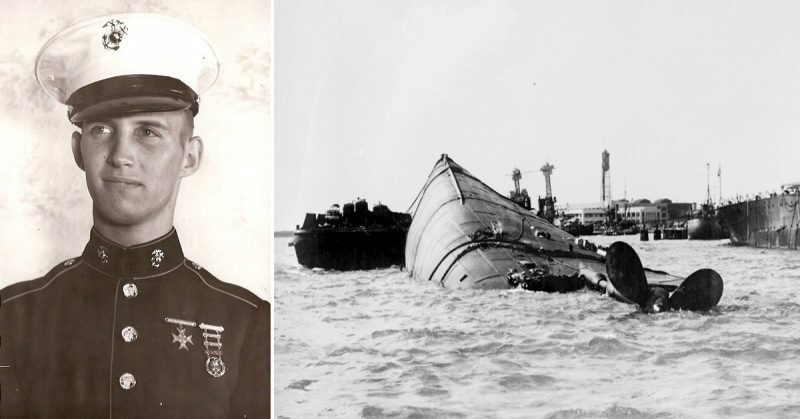 He was one of the 429 men killed on that ship, according to Hattie Johnson who heads the POW/MIA section of the Marine Corps’ casualties office. In 2003, one of the caskets was disinterred again. It was thought that the casket contained the remains of five men. 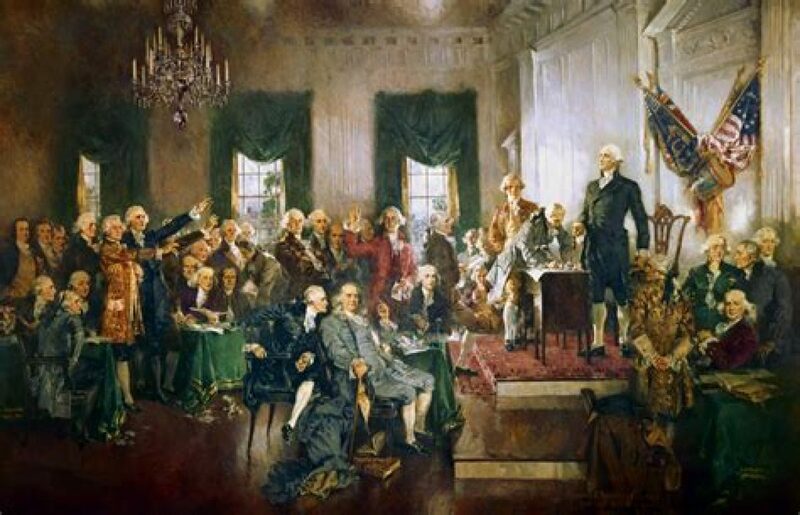 It actually contained the partial remains of almost 100 men. Alva Jackson Cremean. Photo uploaded to FindAGrave by Linda Creamer Furr. The military worked on that one casket until receiving permission in 2015 to disinter the other sixty-two caskets. To date, four of the previously unidentified Marines have been identified along with over 100 men from the Navy. In 2001, Cremean’s family provided DNA samples prior to the first casket being exhumed. The military was able to identify some of Cremean’s remains in 2015 but did not contact the family until they had identified all his remains and did the necessary research to positively identify them as belonging to Cremean. Included in the research was a search of his military and dental records. 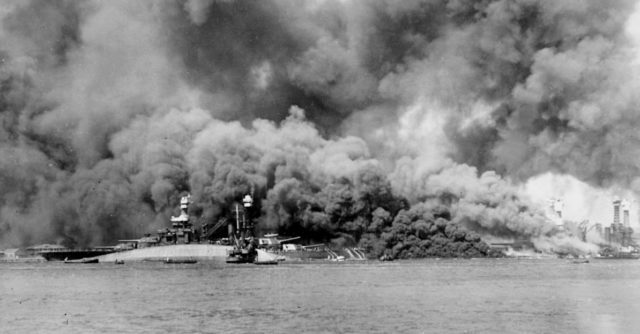 Maryland alongside the capsized Oklahoma during the attack on Pearl Harbor, as West Virginia burns in the background. In October, Johnson visited Cremean’s family to share the news that his remains had been identified. She also shared with the family the evidence that Cremean had been killed by a torpedo blast. This was a relief to the family, knowing he had not suffered very long. They had heard stories about people trapped on the Oklahoma for days before they died. Cremean’s three nieces were all born after he died, but they grew up feeling like they knew him. For the rest of her life, Cremean’s mother wondered whether he might still be alive. 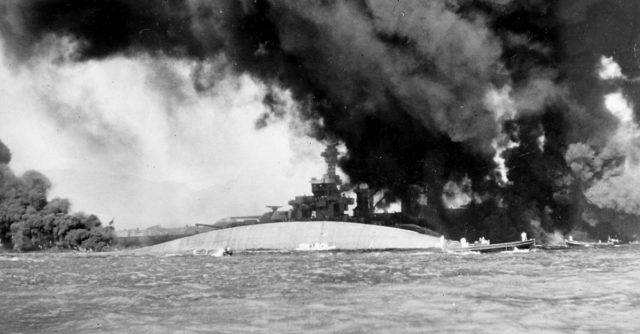 View of the capsized U.S. Navy battleship USS Oklahoma (BB-37) at Pearl Harbor. The uncertainty for his family started seventeen days after the attack, on Christmas Eve, when they received a telegram stating that Cremean was missing. Six days later, they received another telegram which stated that Cremean had survived the attack. Then, almost three months after the Oklahoma had been sunk, the family finally received word that Cremean had been killed. Adding to the pain the family felt, they received Christmas presents in the mail that Cremean had sent before he died: a hula skirt, handkerchiefs, and a sailor doll. 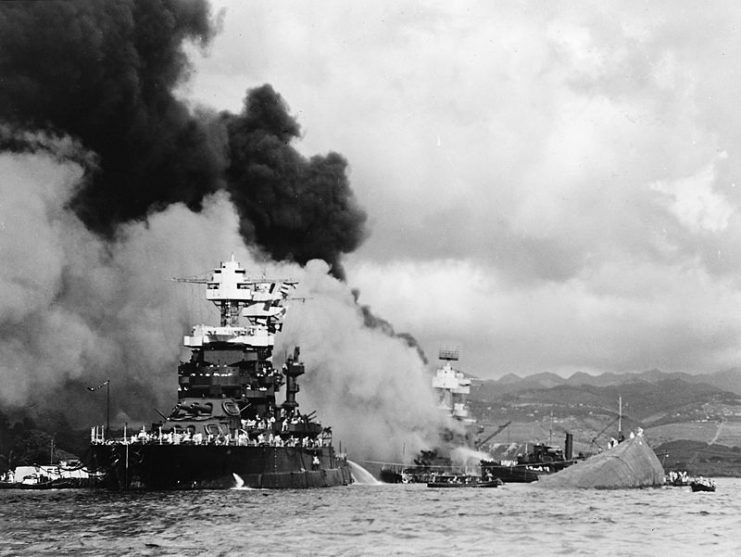 USS Oklahoma, USS Maryland and USS West Virginia during the Japanese attack on Pearl Harbor, 7 December 1941. Although Cremean was raised in Colorado, he will be buried next to his parents in Madera, California. Family members are happy that he will be close for them to pay their respects. Niece Elaine Holiday said that it was good for the family to have closure. Her mother always remembered how Cremean had told her he wouldn’t come home if he was seriously injured in combat. Moren said she’s cried nearly every day for their family members who felt the same loss and did not have closure in their lifetimes. Previous Previous post: Kanye’s Twitter Rant About Democrats CONTROLLING Blacks Is Shaking Libs Up!